Charlie Sloth has become a respected name within the hip hop and grime scene over the years, known for discovering the best new talent and giving it a platform through his shows on BBC Radio 1 and 1Xtra. His ‘Fire In The Booth’ sessions are a rite of passage for many artists, so we decided to take a look back at five of the best. During his third stint on Sloth’s ‘Fire In The Booth’ Mic Righteous not only blew listeners away with his hard-hitting lyrics, but he also dropped the announcement of his long-awaited debut album Dreamland. Nearly a year after its release, Mic Righteous has become one of the most hard working and respected artists in the game, even working with fashion extraordinaire Vivienne Westwood to highlight the effects of climate change. Fekky is a familiar face within the UK grime scene and you only need to look at his list of collaborations to see why, with Dizzee Rascal, Stormzy, Chip, Skepta and more featuring on tracks past and present. It’s debut album El Clasico that’s really shone the spotlight on the MC though, and his appearance on ‘Fire In The Booth’ back in April is a brilliant example of everything he’s about. Though still young in his career, London rapper Big Tobz has been honing his craft for over five years now. His session in the booth earlier this year marked him as a sharp lyricist and with latest single ‘Slay’ he continues to prove his worth within the UK grime scene. Aystar has been making waves in Liverpool for a while now and it was his ‘Fire In The Booth’ session a year ago that truly announced the rapper as one to watch. Since then he’s featured on Giggs’ latest album and focused on releasing his own music, including single ‘Been Getting It’. Bugzy Malone’s first appearance on ‘Fire In The Booth’ was an impressive one, with it being the first to surpass 10million views on YouTube. Since then, he’s gone on to release a top 10 UK album and defined himself as a game changer in the UK grime scene. 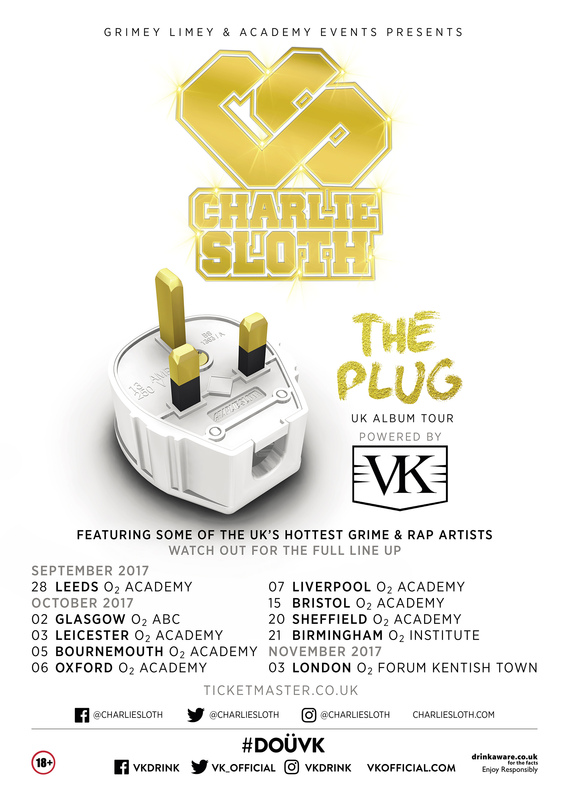 Charlie Sloth's 'The Plug Tour' powered by VK hits cities across the UK from September through to November.